10 teams from across Cardiff came together for a fun and speedy tournament to raise money for Hafal. Players also took part in mental health research when they weren’t playing. Through a raffle and bake sale over £200 was raised for Hafal and 23 players completed our mental health assessment with our psychology assistants. “We were thrilled with the turn out for the tournament. After being sponsored by NCMH it was important to us to provide an opportunity for the team to get involved in mental health research. To see more photos from the tournament visit our Facebook page. Korfball originated in the Netherlands and is best thought of as a cross between netball and basketball. Each team has eight players (four women and four men), with half of the team allocated to ‘defense’ and the other half allocated to ‘attack’. The aim of the game is to score ‘korfs’, the Dutch word for ‘basket’, and you score by getting a football-sized ball into a 3.5m high basket. You can’t run with the ball, so the use of space and movement away from your opponent is vital, making it a fast-paced game. Korfball is played in over 60 countries around the world, with European and World Championships held every four years. 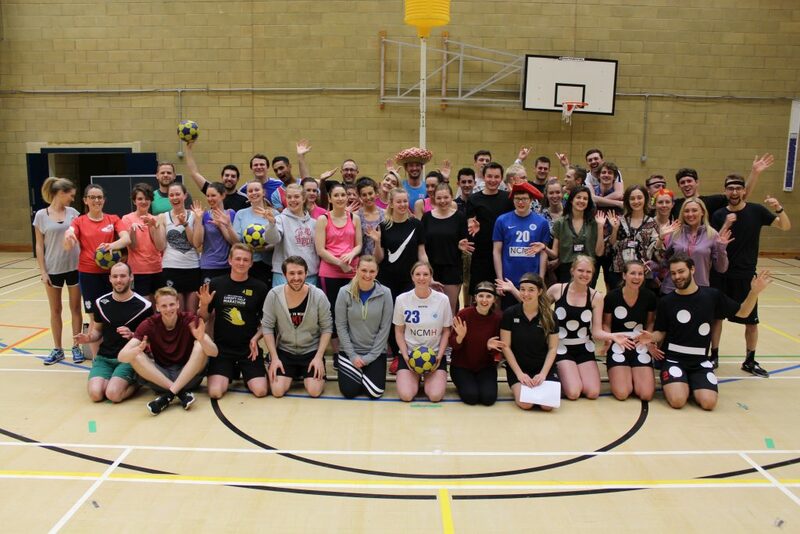 Cardiff Korfball – the team trains every Tuesday and Wednesday. NCMH online survey – take part in our research.